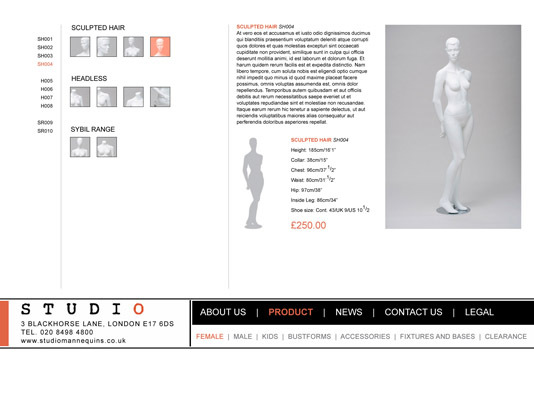 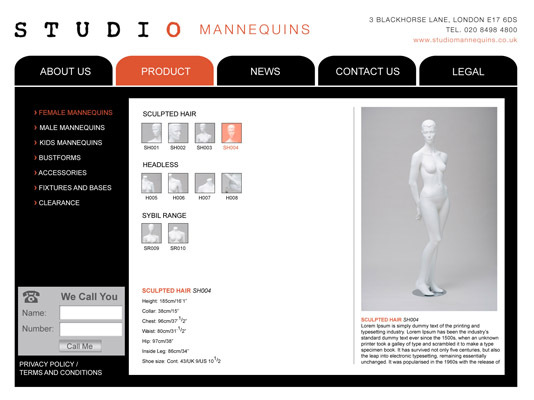 "Thank's for having patience to explain .. taking away hassle.. take on board my comments without fuss"
Studio Mannequins was a new company owned by Proportion London. 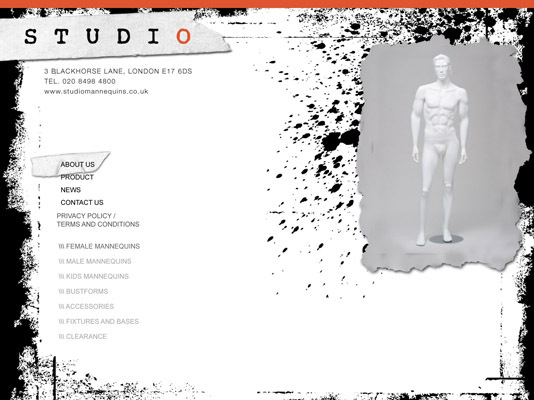 The brief was to design a search engine optimised website that could be maintained in house and showed the product off to best advantage. 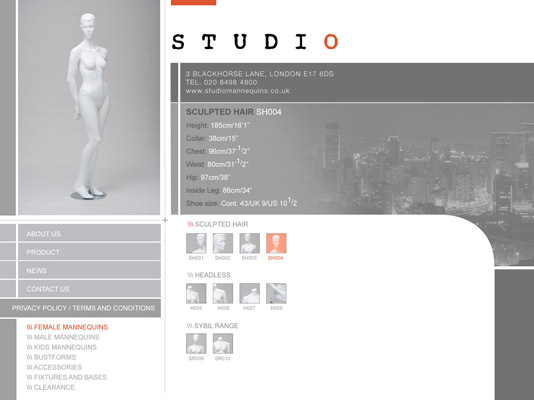 The first part of the project was to create a series of design concepts for review and then take one forward to the final website design. 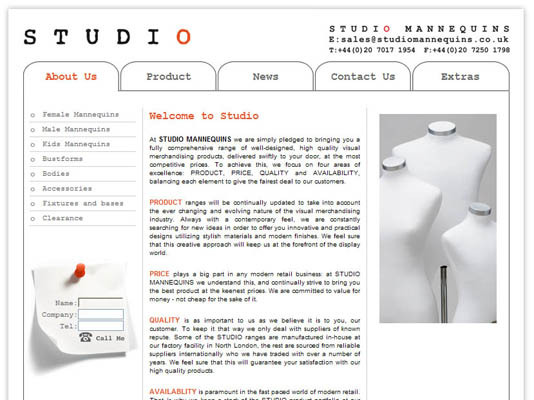 Website is well positioned close to or at the top of Google with the search term ‘mannequins’.